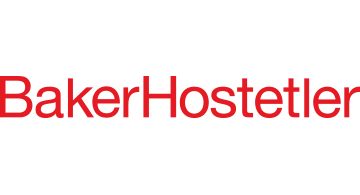 Recognized as a top provider of client service, BakerHostetler is a leading national law firm with more than 940 lawyers and 14 offices coast to coast. We counsel clients around the world regarding their most complex and critical business and regulatory issues. Within five core national practice groups – Business, Employment, Intellectual Property, Litigation and Tax – are several large specialty practices, including antitrust, bankruptcy, healthcare, energy, mergers and acquisitions, commercial litigation, data privacy and security, and international tax. Our attorneys have broad knowledge and experience in many industries, including energy, media, manufacturing, healthcare, financial services and insurance, consumer products, and hospitality. We distinguish ourselves through our commitment to the highest standard of client care. By emphasizing an approach to service delivery as exacting as our legal work, we are determined to surpass our clients’ expectations. For more information, visit bakerlaw.com.